By adopting and using newer sequencing technology - so-called "Next-generation sequencing", the Norwegian Veterinary Institute will streamline its work and improve the competence and access to sample material from animals, fish, the environment and food. The project (SEQ-TECH) is a recently started internal initiative that will help to establish the new sequencing technology at the Norwegian Veterinary Institute. The Norwegian Veterinary Institute is in a unique position with regard to expertise and access to sample material from animals, fish, environment and food in Norway. With "Next-Generation Sequencing", the sample material and collection of microorganisms can be used in new ways that can provide a better basis for advice and risk assessments in fish health, animal health and food safety and better assess how this affects the situation seen in a holistic One-health perspective, says Senior researcher Camilla Sekse, leader of the project at the institute. - In the coming years, the technology will be important for improving diagnostics, identifying infectious agents and the management of disease outbreaks. In addition, it will provide opportunities to discover new and unknown diseases. The technology may, for example, indicate how the infection affects the host, as well as the effect of vaccines, but also how an altered diet may have on both the host and the microbiota (for example, the intestinal flora). - During the start-up of the project, our main focus will be on whole genome sequencing, which gives us knowledge of an organism's total genetic material. Knowledge of genetic material of a microorganism is important in risk assessment in order to assess the potential of different bacteria and viruses to cause disease and to spread antibiotic resistance. "This is one of the largest E. coli outbreaks described, almost 4,000 were infected and over 50 people died," says Sekse. - Through whole-genome sequencing, researchers could quickly characterize the bacterial strain and identify the genetic properties that increased the microbe's ability to induce disease. From these analyses, properties of the microbe were quickly identified, which were again used to clarify the extent of the outbreak, and eventually identify likely infections and pathways, she explains. 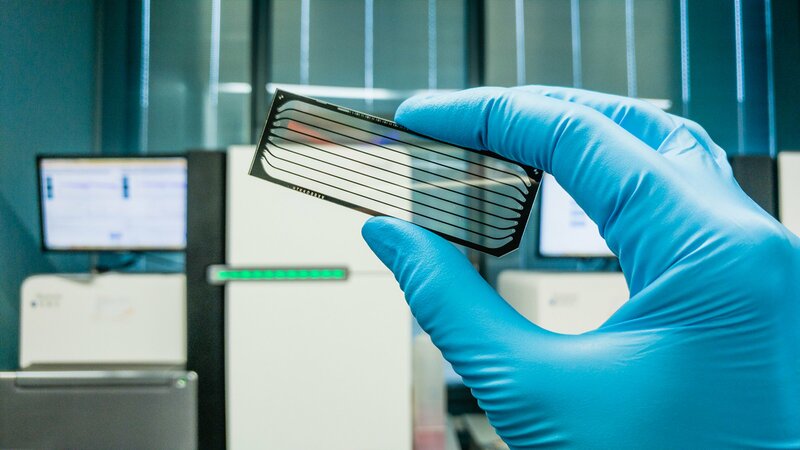 Whole genome sequencing is now used in several countries to monitor pathogenic and antibiotic-resistant bacteria, as well as the identification and tracking of disease outbreaks. Sekse explains that when necessary knowledge and expertise have been developed in the field of whole genome sequencing, the institute will also be able to further develop and establish routines for other sequence-based applications, including metagenomics and transcriptomics. The project is funded by the Research Council of Norway earmarked for strategic institute initiative. NOK 16 million has been allocated in the period 2019-2022. Metagenomics is the study of all genetic material (DNA) contained in a complex sample, for example in a stool sample or infected tissue sample. Such knowledge is suitable for mapping the microbiota (the composition of microbes; bacteria, viruses and fungi) in an environment. This, in turn, can affect animal and public health. Metagenomics may, for example, identify infectious agents directly from affected tissues, uncover the effects of various types of feed (how this affects the intestinal flora) and map the spread of bacteria. In transcriptomics, the gene expression is measured in an organism, or even in a microbiota. This can be used to determine the effect of a treatment, such as the effect of feed changes, vaccine response, and the consequences of various types of infections.